One of the awaited event of the year has finally arrive, the singapore COUTURE Fashion Week 2012 and WOMEN'S Fashion week 2012. here's the first look of the event, as presented on the press conferences. Couture Fashion Week on 27th November to 2 December, will present designers from Chambre Syndicale de la Haute Couture Paris, which are On Aura Tout Vu, Julien Fournié, Bouchra Jarrar, Maurizio Galante, and Yiqing Yin that will showcase their collection in singapore for the very first time. returning designers include Christophe Josse (my favourite), Gustavo Lins, and Alexis Mabille. Mr. Didier Grumbach and Suzy Menkes are some of the prominent fashion figures expected to attend the showcase. At the first press conference, Julien Fournié showcased some of the designs which are feminine, but structured and dominated by white and pastel colors. I love the simple silhouette and the slit details. Another designer to give the sneak peek is On Aura Tout Vu, which has interesting show concept with edgy collection incorporating gorgeous details; totally not for the faint hearted. Their color palette revolves around black, white, and striking red. Below are some of the preview from Mauritzio Galante who will be presenting 15 new creations together with his iconic retrospective pieces. Shown at the residence of French Ambassador, His Excellency Olivier Caron, Galante's pieces are done in detailed constructive manner with variation of beautifully adorned pleats. There will be four amazing Asian couturier presenting their works back to back on November 27 , namely Guo Pei (China), Asava by Polpat Asavarapa (Thailand), Barney Cheng (Hong Kong), and Togo by Bold Ochirjantsan (Mongolia). 28 November will be dedicated for Japan Couture showcase by japan couturier Junko Shimada, Somarta by Tamae Hirokawa, and Yumi katsura. It is part of the event main goal to give exposure to asian designers to wider audience. In the other hand, Women's Fashion Week will take place from 23-25 November 2012 which showcases international Ready to Wear labels available at The Shoppes at Marina Bay Sands including Hervé Léger, Anne Fontaine, Banana Republic, Bread and Butter, and so on. 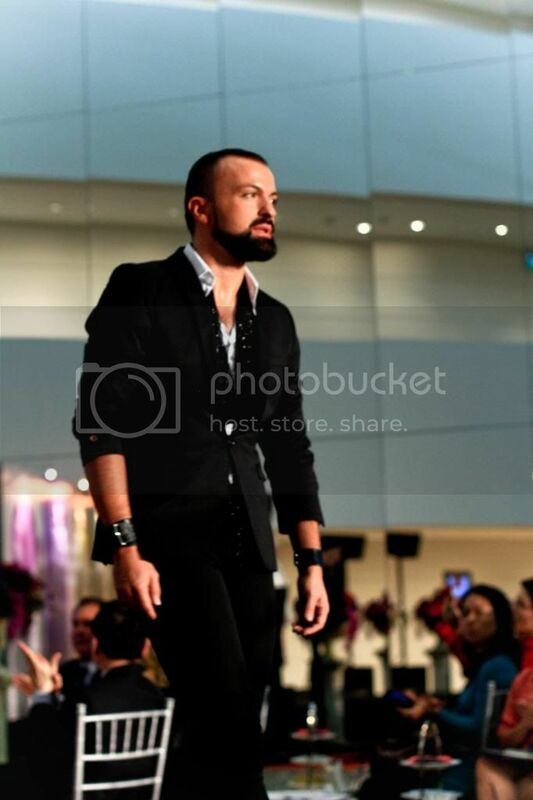 the event is presented by FIDE Fashion Week, Word of Mouth Communication, in collaboration with Marina Bay Sands.